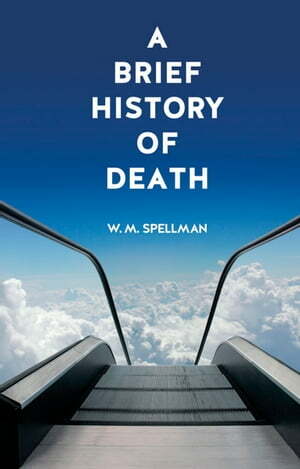 Collins Booksellers - A Brief History of Death by W. M. Spellman, 9781780233055. Buy this book online. As humans, death—its certainty, its inevitability—consumes us. We make it the subject of our literature, our art, our philosophy, and our religion. Our feelings and attitudes toward our mortality and its possible afterlives have evolved greatly from the early days of mankind. Collecting these views in this topical and instructive book, W. M. Spellman considers death and dying from every angle in the Western tradition, exploring how humans understand and come to terms with the end of life. Using the work of archaeologists and paleoanthropologists, Spellman examines how interpreting physical remains gives us insight into prehistoric perspectives on death. He traces how humans have died over the centuries, both in the causes of death and in the views of actions that lead to death. He spotlights the great philosophical and scientific traditions of the West, which did not believe in an afterlife or see the purpose of bereavement, while also casting new light on the major religious beliefs that emerged in the ancient world, particularly the centuries-long development of Christianity. He delves into three approaches to the meaning of death—the negation of life, continuity in another form, and agnosticism—from both religious and secular-scientific perspectives. Providing a deeper context for contemporary debates over end-of-life issues and the tension between longevity and quality of life, A Brief History of Death is an illuminating look at the complex ways humans face death and the dying.